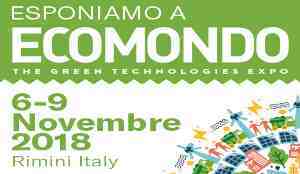 Star Chemical Logistic S.p.a. at Ecomondo 2018, the leading Euro-Mediterranean area green and circular economy expo. An international event with an innovative format that brings together all sectors of the circular economy in a single platform: from material and energy recovery to sustainable development. From 6 to 9 November.